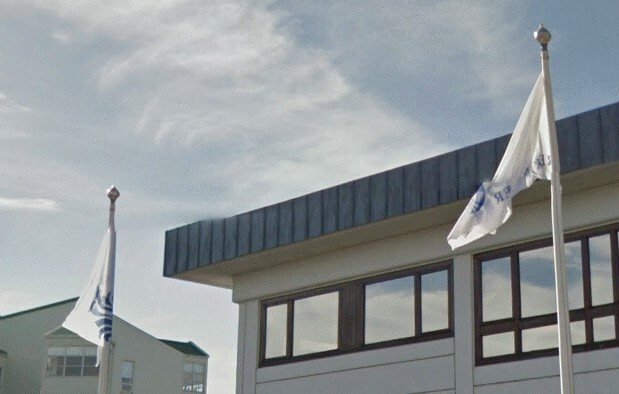 The flag of the municipality of Reykjanesbær (pop. 14 500) is white with logo-emblem. The municipality is formed in 1995 by mergering of towns Keflavík and Njarðvík and village of Hafnir.